"According to the recording of history, there is an island named Gold island on the pacific ocean storing the enormous treasures. So the tramp drives the ship to seek the island out. After long term vagrancy, the tramp found the island eventually. But there facing various monsters and obstacles on the island." 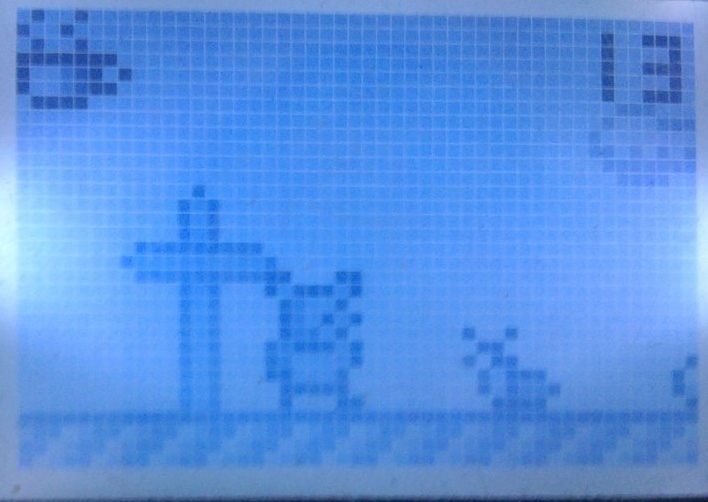 If you are already in posession of one of Timetop's little handhelds, then Drifter will need no introduction. If you're considering purchasing one (and we really think you should) then the good news is that you'll be getting this game free. Drifter is one of the 3 built in games that come preloaded in every variant of the Game King that has ever been produced and it is easily the most impressive of the three. 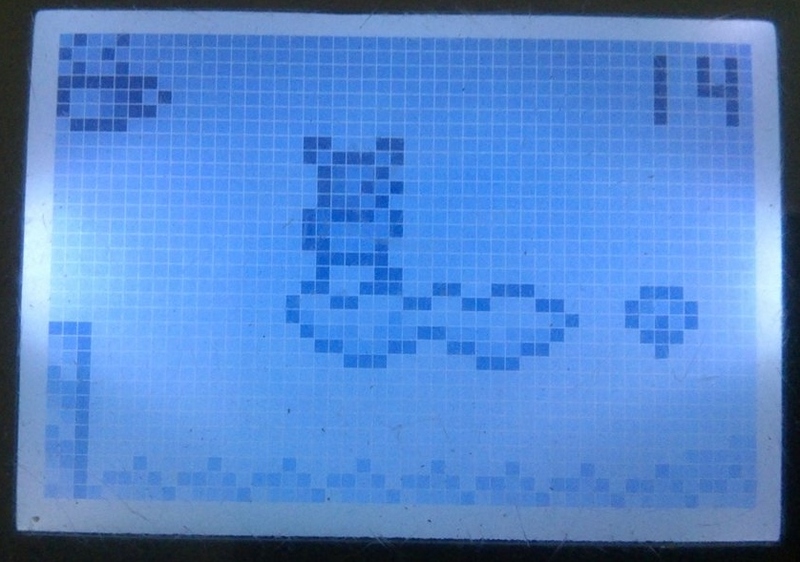 Despite being described as a 'tramp' on the box that the cosole comes with (the game was never sold sepearately for obvious reaons), the main character appears to be the same little mouse that appears in numerous unoffical Super Mario knock-offs on various chinese handheld systems (usually bearing the name 'Risker' - what we take to be a corruption of 'Whisker'). Along with Duckman (review coming soon), He's one of the better looking Gameking sprites with a reasonable level of detail put into him in comparison to the bipedal ants commonly found in other Gameking platformers. The game itself is a pure clone of Adventure Island (minus the skateboard, sadly). Drifter must run and hop through three fairly unforgiving but nicely varied stages (a limitation seemingly present in all Gameking platformers), collecting fruit, blasting snails with his boomerang (later upgraded to a rocket launcher) and navigating tightly designed platforms as he does so. 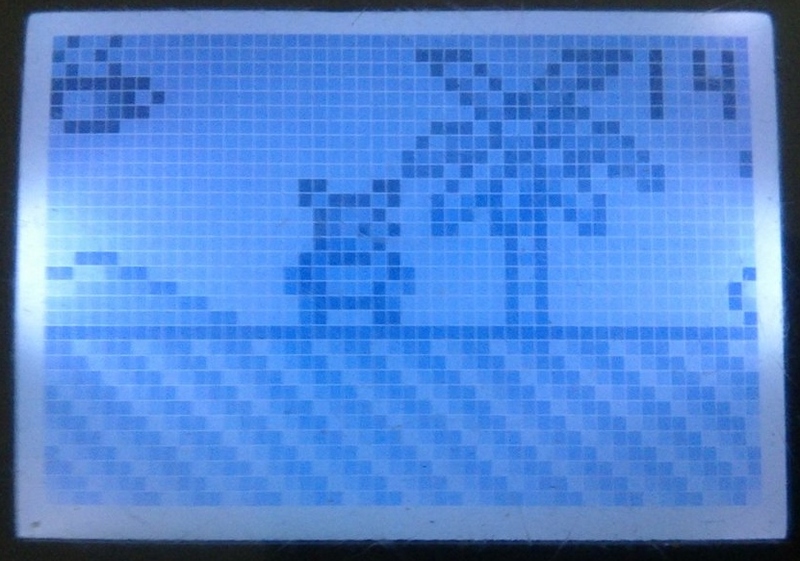 Drifter is a nicely animated sprite and the game seems to be the title that the ridiculous transparancy (removed for these screenshots) was included in the Gameking II to accompany. Drifter reaches the end of stage 1. Once you see this marker you can breathe a sigh of relief. 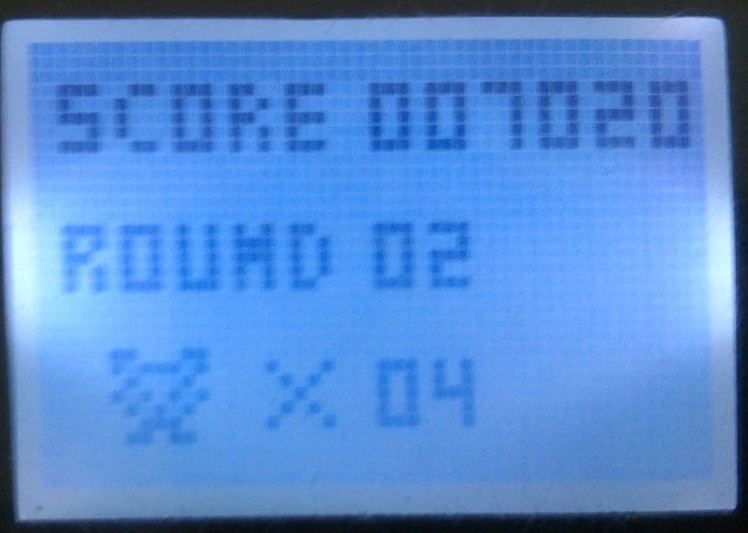 The status/core screen is displayed on succesful completion of a round. 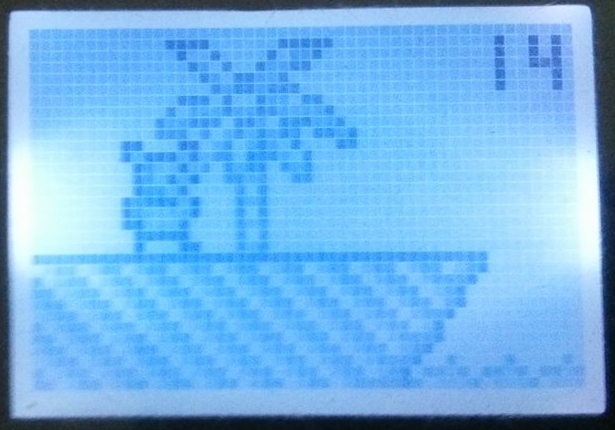 The level design closely mirrors some of the early stages found in the first Adventure Island game. Sadly the skateboard didn't make it. It always feels wrong to praise the Gameking's music, especially as, just as it is here, it's often a sample stolen directly from another game. However, if you're going to steal, then you might as well steal wisely and Drifter steals very wisely indeed, plundering non-other than the iconic theme tune from Castlevania to accompany your little mouse's adventure! Sound effects are nice and bouncy and fit the Adventure Island cutesy theme to a tee. Graphics are clear and, most importantly the game controls nicely with good control over you character. The latter is particularly important as the game is really quite a challenge despite its limited nature. Repetition and memorisation of patterns will help you eventually defeat it but it's a challenging introduction to the Gameking library, as well as an introduction to the kind of amusingly outrageous plagiarism that you can expect to encounter as your collection grows!